Oct. 3, 2018 – John Deere continues to provide industry-leading job site solutions with the addition of an exclusive on-board grade indication option. 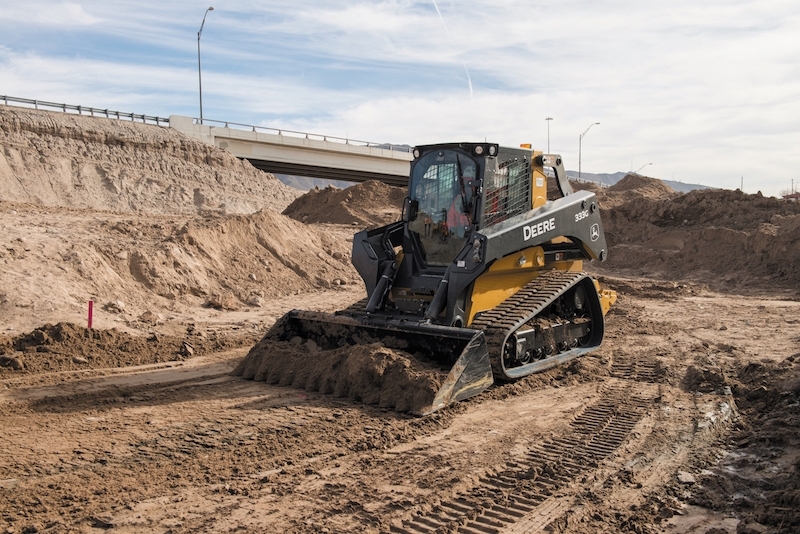 Available as a factory or field kit option on the large-frame G-Series skid steers (330G and 332G) and the large-frame G-Series compact track loaders (331G and 333G), this new feature is ideal for job sites that involve levelling and slope work. The industry-exclusive integrated on-board grade indication option provides operators with an accurate readout of the cross slope and main-fall slope of the machine. The machine cross slope and main-fall slope information is displayed in real time through the machine’s main display monitor. The readout can be easily configured to display either percentage or degrees depending on preference. On-board grade indication is available as a factory install on G-Series large-frame machines or as a field kit for field installation.